Max Fairclough is a creative, portrait and music photographer based in Melbourne, Australia. An anomalous artist and observer, Max travels the world documenting and creating dramatic portraits. There is a seamless characteristic that runs throughout his body of work that is both technical and contemporary while encompassing a fine art approach towards the subject. Distinctively in Max's work, his adept play with shadow sets the overall tone, yet at the core, it is his connection and direction with the people he photographs on set that make every one of his images resonate. Having regular photographic projects between Los Angeles to Tokyo, London to Mumbai, Max is a person who knows no boundaries and is comfortable with the known and unfamiliar characteristics of a foreign country. His work has enabled him to collaborate frequently with Capitol Records, Universal Music and BMG. 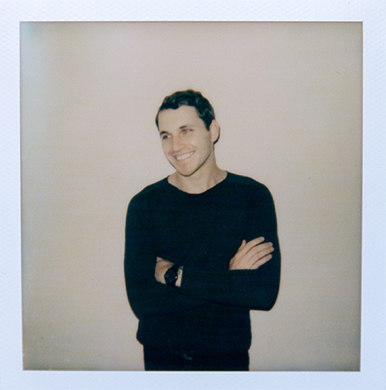 Beyond this, his work is sought by some of the most renowned record labels, managements and publications as well as travel regularly on assignment with international touring profiles, including Troye Sivan, Vance Joy, Dean Lewis, Bring Me The Horizon and PVRIS. In 2015, Max was commissioned on Taylor Swifts '1989' world tour to document main support artist, Vance Joy. While Max's principal focus is portraiture and documentation in music, his curiosity and drive allows him to deliver a range of unconventional projects, whether in commercial or advertising.